What don't we know about the Pixel 3? 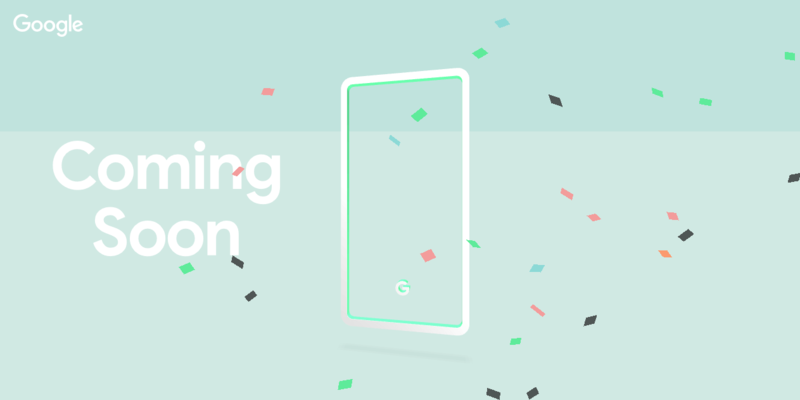 Something to look forward to: Google appears to have given up on trying to surprise us at the Pixel 3 launch on October 9. Three new color combinations have been revealed on a Google hosted "Coming Soon" page. The rather colorful page, first noticed by Droid Life, gives you an interactive experience with the three new colors: black and dark grey, white and light grey and a funky minty green. You can cycle through the colors by pressing the “G” logo at the bottom of the phone. The color of the frame also provides some good insight into the colorful button the current Pixels have: the black model has light grey while the white and mint options have neon green. Now that we know the colors, it’s hard to imagine what Google is holding in reserve for the big day. We already know the Pixel 3 and Pixel 3 XL will have wireless charging, one rear camera with variable aperture and that the Pixel 3 XL has a massively thick notch. If you’re the optimistic sort, you might like to believe this wild theory that all the Pixel leaks so far are secretly a misinformation campaign by Google and that on October 9th they’ll reveal an awesome, completely bezel-less phone. These colors look cool, but I'm not holding my breath for bezel-less.